Why Azure? – Microsoft Azure Articles.. In this article we can explore the Advantages of Deploying Applications to Azure. Azure is a Cloud Computing Service created by Microsoft to build, test, deploy & manage applications. · No Infrastructure Purchase required & thus saving cost in hardware purchase, upgrade & maintenance. 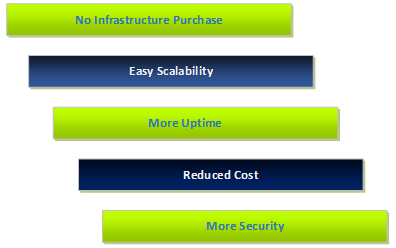 · Easy Scalability is offered through scaling up of Azure hardware based on demand. · More Uptime The data centers of Azure provide more Uptime than traditional On-premises data centers and giving More Reliability. · Reduced Cost due to Subscription based service. No big investment on hardware & software. · More Security The data centers of Microsoft Azure provide Best Security for data in transit & data at rest. · More Stability Azure provides multiple copies of application & databases to automatically handle a failover situation. Thus, the Stability is high in Azure. · Hybrid Support Azure provides more Hybrid deployment scenarios than traditional On-Premise hosting. Hosting in Azure or Or-Premise is a Choice to be made with Good Evaluations on Starting Cost, Ongoing cost & Future scenarios. In this article we have explored what are the Advantages of going with Azure hosting.